Kranj, a small Slovenian city, recently added a new monument to its set – the Bitcoin logo. 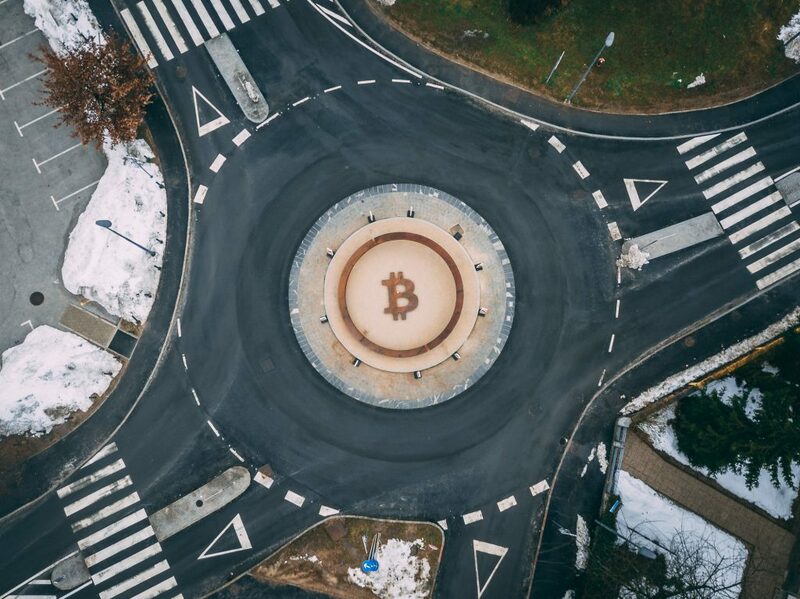 The monument was placed in the center of a roundabout and sponsored by the crypto exchange Bitstamp and the Slovenian technology company 3fs, CryptoCollin tweeted. According to the official announcement, the logo's location symbolizes decentralized connectivity and everyday life optimization as well as trust, cooperation, and the country's transparency. This is the first monument of its kind in the world and it was created by Slovenian artists Aleksandar Frančeškin and Selman Čorović. Although Slovenia has been ahead of it's neighbors – including Croatia – in terms of blockchain and cryptocurrency adoption, it's still surprising to see such a small European country allow the placement of such a strong visual symbol of the world's most famous cryptocurrency. Slovenia, with a population a little over 2 million, sports 11 bitcoin ATMs if the information on CoinATMradar is accurate, which is quite a lot considering its neighbor – Croatia – has a mere 4 on its 4 million people. Slovenia is thus joining Switzerland in crypto leadership, though the whole EU area is still lagging behind USA and Asia as far as BTC trading volume is concerned. We hope this kind of monument will help raise the still too low awareness of crypto in EU territory which we believe to be the primary reason behind slower regulation Europe-wide.